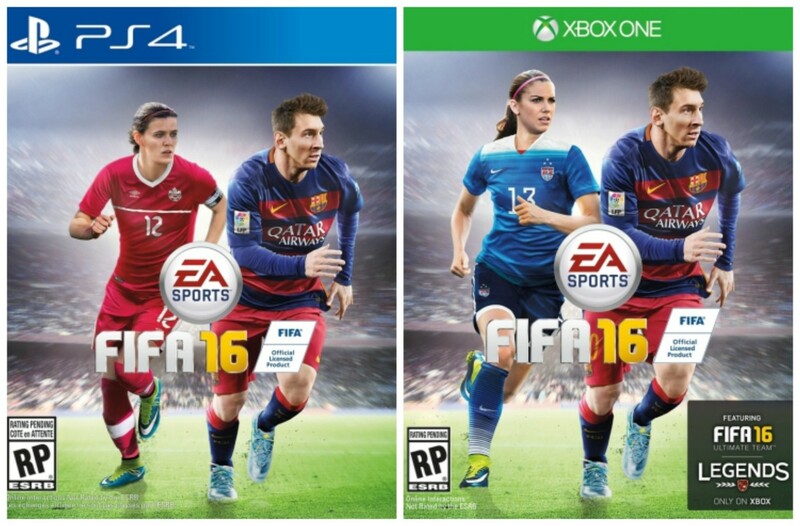 EA announced in May that it would be including twelve national women’s soccer teams in FIFA 16. Now, the company has revealed that for the first time ever, it will be featuring female soccer stars on the games covers in the US, Canada and Australia. Each of the female players will appear alongside Lionel Messi on their respective covers. In the US, it will be Olympic gold medalist Alex Morgan; in Canada, it will be Christine Sinclair, captain of the Canadian national team and in Australia, 21 year old Stephanie Catley will be featured. In the UK, Liverpool captain Jordan Henderson will be the second cover star next to Messi thanks to a public vote. However, if I was on Henderson’s PR team, I would probably consider suggesting he offers his place to a female player. It’s a noteworthy step for EA and timely given the lingering atmosphere from the US women’s team victory in the World Cup earlier this month. Acknowledging the existence of women on its cover and in the game is certainly a positive thing and with the US team’s success, it’s sure to give the game a sales boost. However, given that women have played FIFA and participated in equally exciting high level sports since forever, I highly doubt this will change the demographic of people playing the game; and more so, it highlights the fact that FIFA ignored the already undervalued successes of women in sports and the women playing its game for so long. Without dampening the spirits of the new female cover stars, it is still a feat, but having to highlight and applaud the inclusion of such impressive athletes in modern society is backwards.